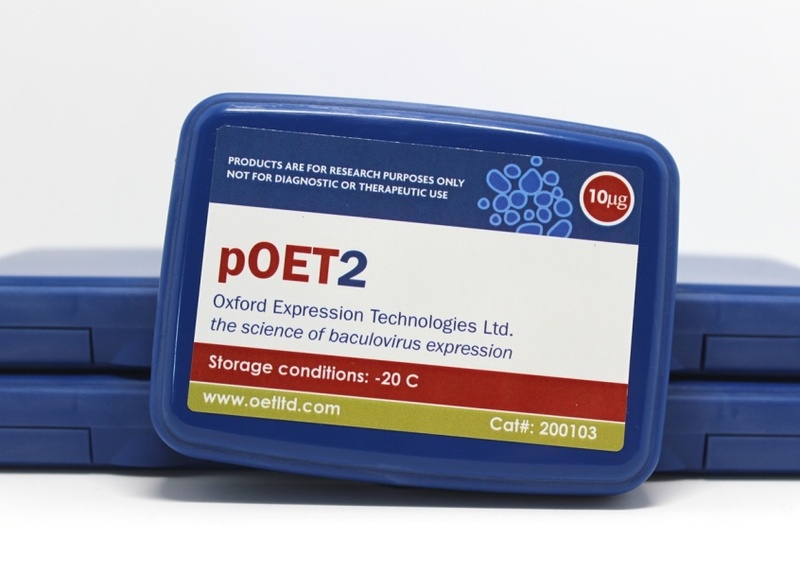 pOET2C 6xHis (cat# 2001032) (10ug) is a baculovirus transfer vector designed for high level expression of foreign genes under the powerful AcMNPV polyhedrin (polh) promoter. 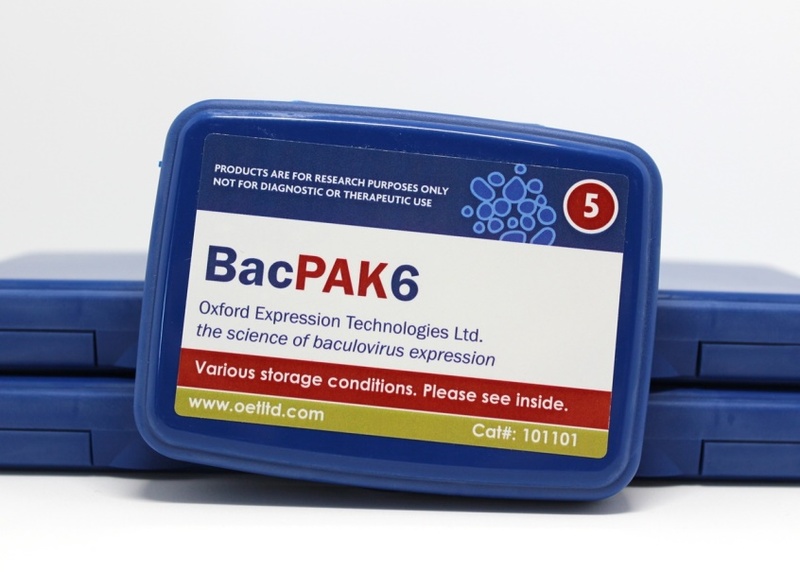 The vector encodes an optional C-terminal 6xHis-Tag® fusion sequence that may be utilized. This greatly eases the purification of the recombinant protein since the 6xHis-containing fusion proteins bind with high affinity to Ni-NTA Agarose. 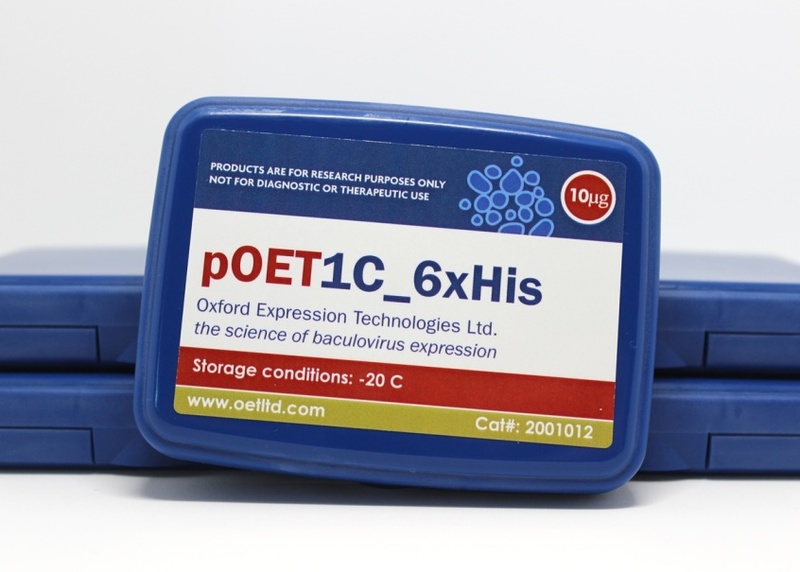 pOET2C 6xHis has a Col E1 origin of replication and an ampicillin resistance gene for selection in E. coli. The polh sequences have been replaced by a multiple cloning site (MCS) containing unique restriction enzyme sites for insertion of the foreign gene in the correct orientation. The AcMNPV sequences flanking the gene in the transfer vector’s MCS allow recombination with the viral DNA to insert the expression cassette into the polh locus. 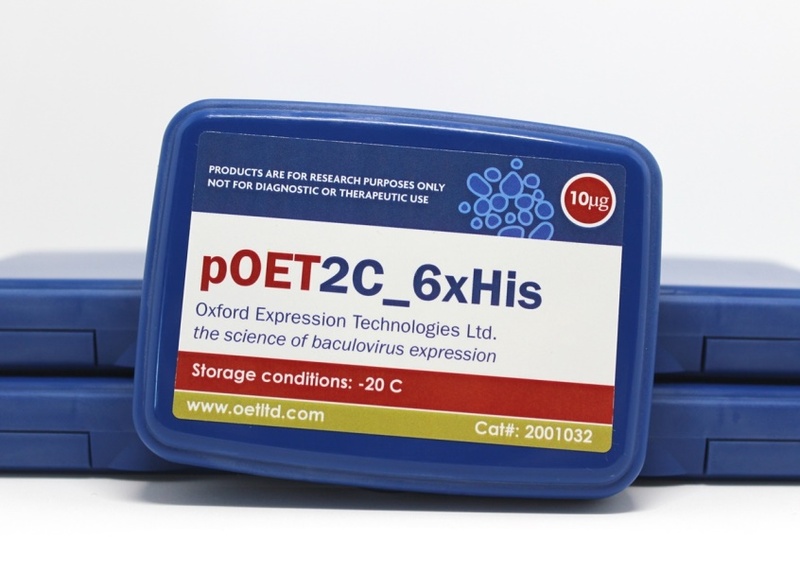 pOET2C 6xHis is compatible with any baculovirus system that utilizes homologous recombination in insect cells. pOET1C 6xHis has the same MCS as pOET2C 6xHis except in the reverse orientation. 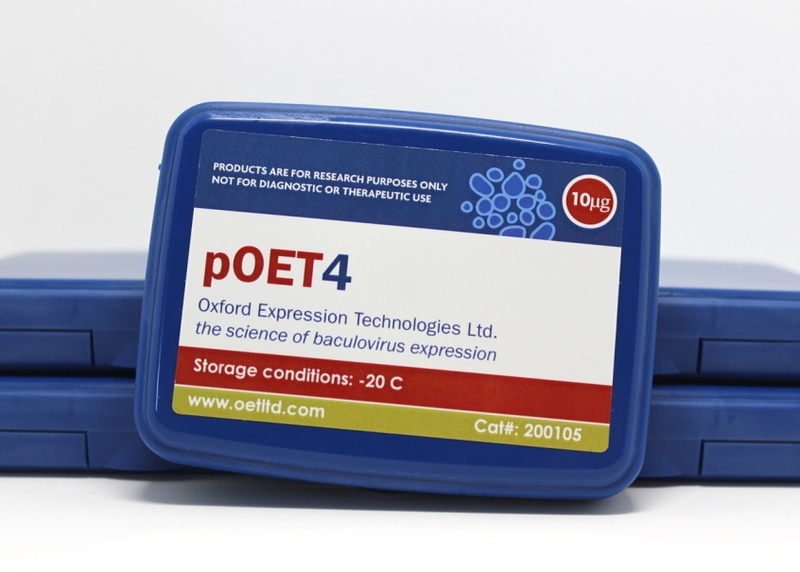 pOET2N 6xHis has an N-terminal rather than C-terminal 6xHis-Tag®.